You might think that drinking al fresco is an activity best kept to the summer season when you’re flaunting your finest floral number and showing off your sun kissed glow. But, it has to be said – there’s something pretty special about braving the chill and drinking outdoors in the colder months surrounded by a magical dusting of frost and snow, snugly wrapped up in a blanket and indulging in a mulled wine or boozy hot chocolate. 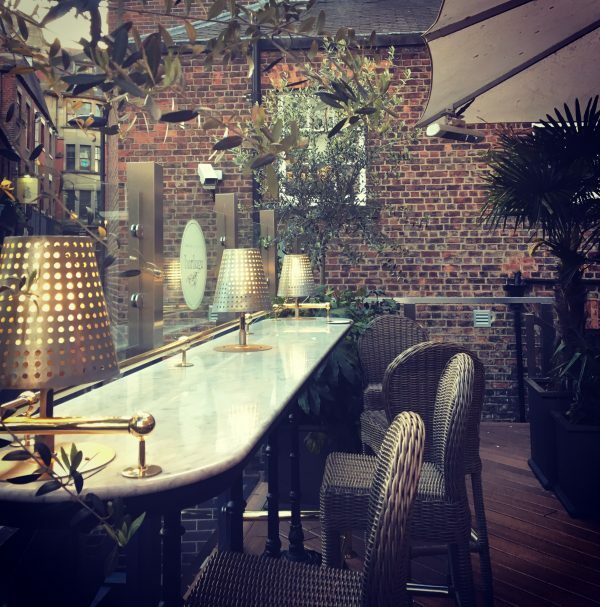 Bar Luga’s chic roof terrace was revamped in 2016 following a £180,000 refurbishment. 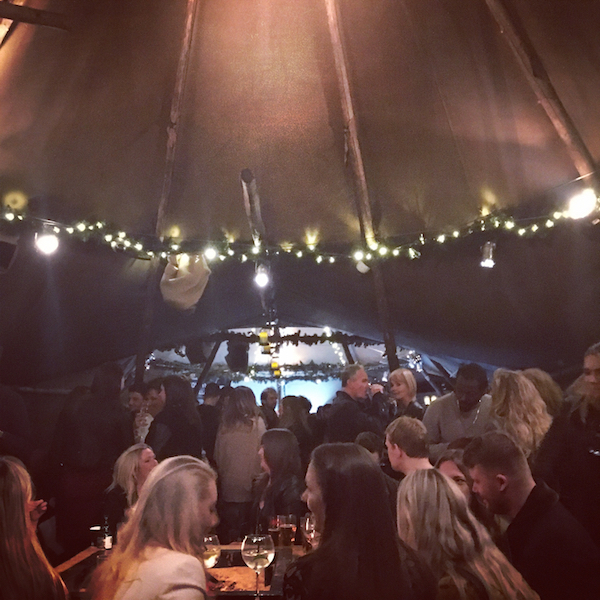 An urban retreat, the sizeable terrace is stylishly decked out and offers a mix of comfy seats, tables and bar stools (accommodating up to 75 people) with plenty of heaters and shelter from the unpredictable weather. In the summer, it’s something of a sun trap and you’d be forgiven for thinking that you were tucked away in a trendsetting European capital. 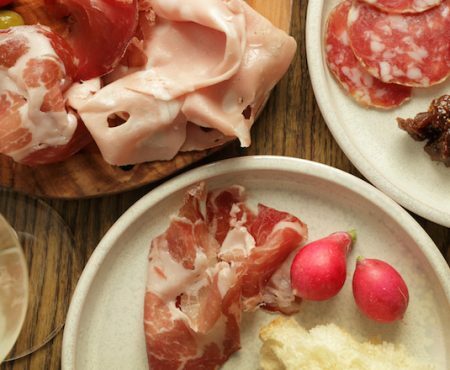 Come the winter months, it’s the perfect hideaway for some Friday fizz with the gals. 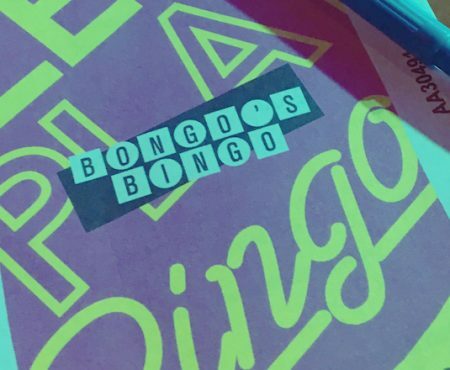 With its enviable views over Grey’s Monument and Grey Street – and not forgetting that twinkly dome – The Botanist is a go-to drinking spot come rain or shine. 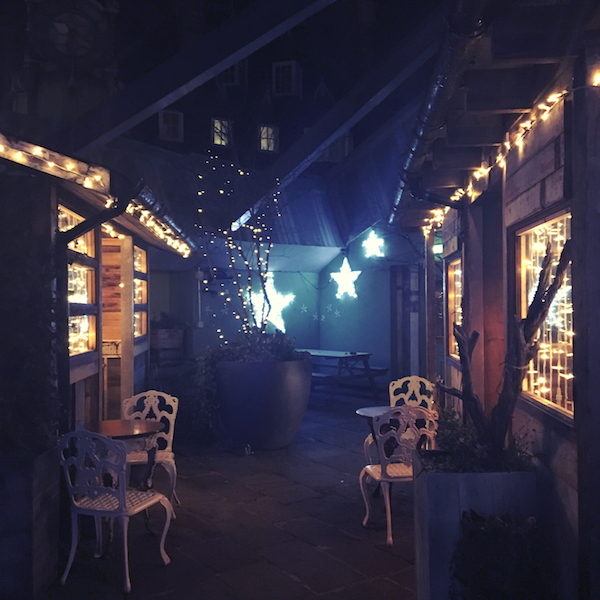 The bar’s garden roof terrace has, in recent weeks, been transformed into a spectacular winter wonderland for the festive period, with pretty fairy lights galore and snug log cabins. The fiery and floral Budweis Mule is a new addition to look out for on its cocktail list this season, with a zesty blend of lemon thyme, ginger, Cointreau, Tanqueray and Budvar. The bar is also serving a special festive menu, with its infamous turkey hanging kebabs and cranberry glaze making a welcome return. If you’re after a more traditional drinking destination with bundles of character, then venture along High Bridge and cut down Old George Yard, where you’ll find The Old George – the city’s oldest pub that dates back to the late 1500s and even boasts royal connections to Charles I. 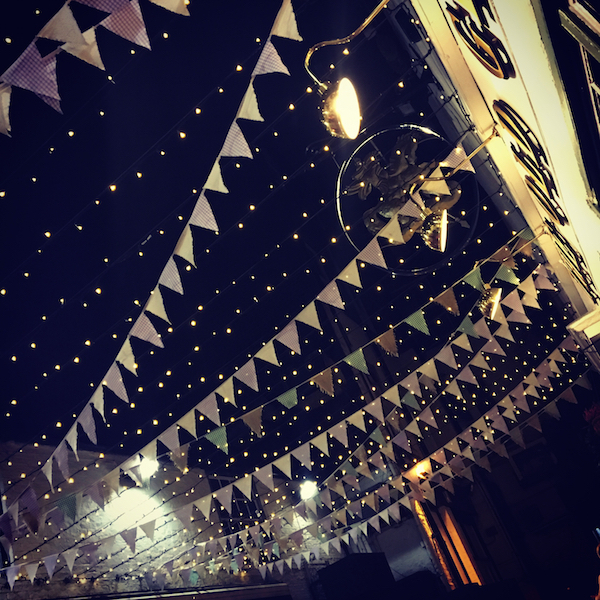 A cobbled backstreet and canopy of bunting and sparkly lights overhead create an enchanting backdrop to your winter al fresco drinks. And as it’s set back from the city’s main strip of bars, you won’t have to contend with hordes of party revellers shuffling from one bar to the next. 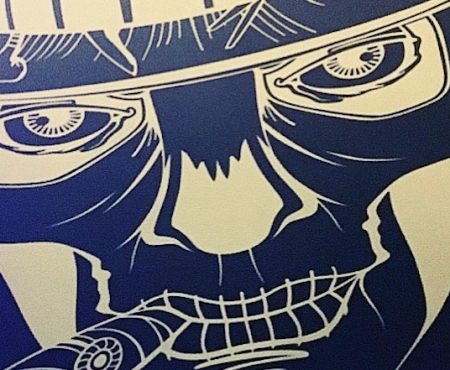 What are your favourite bars and pubs in Newcastle for snuggling outdoors this winter? 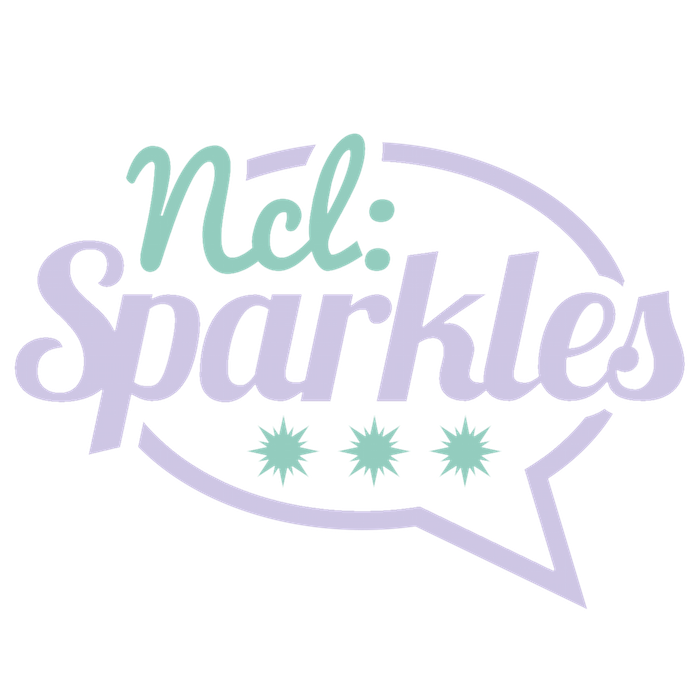 Share yours on Twitter using #NclSparkles.